Cocorico Artist Proof, solid bronze Rooster sculpture by artist Tim Cotterill. 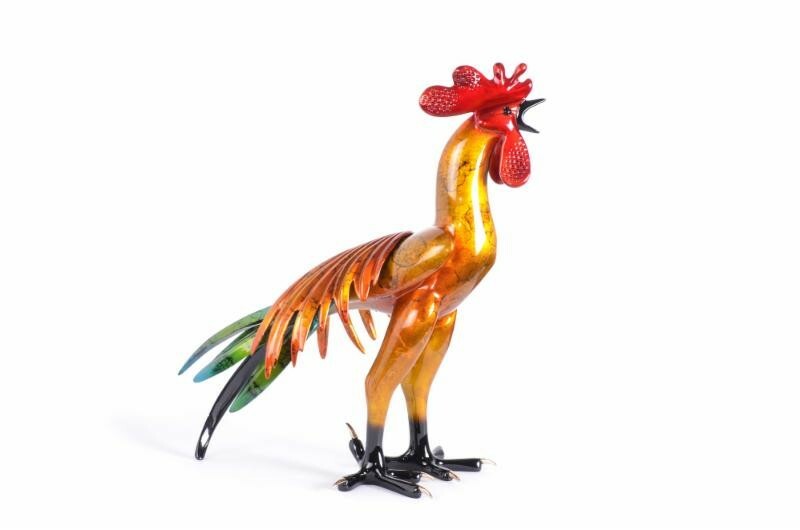 An incredible artist proof of Cocorico the flamboyant bronze rooster sculpture by artist Tim Cotterill. The iridescent blue-green tail, accentuated by the copper toned saddle feathers, transitions to a burnished gold body. The brilliant red comb is the crowning touch to this vibrant patina. 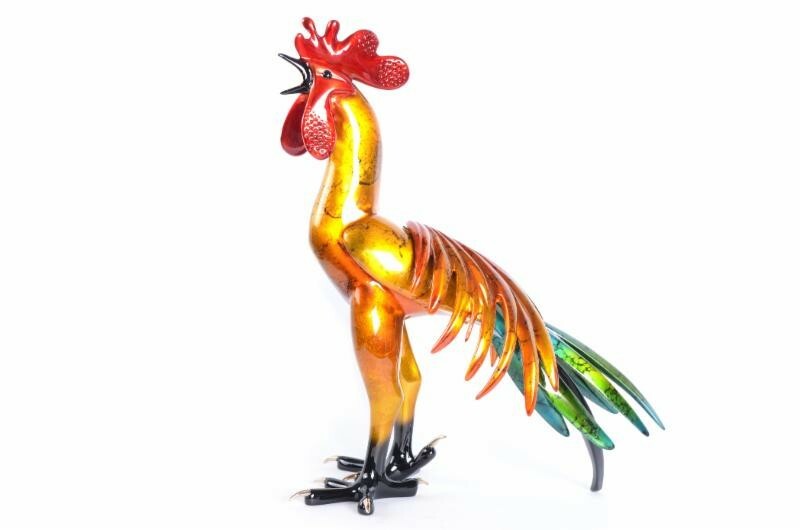 Cocorico is here to rule the Roost!